This question is asked with increasing frequency as more and more schools begin to get to grips with the new curriculum. The emphasis on understanding algorithms, creating and then debugging these creations, has opened up a whole new conversation about why we are asking all children to understand these concepts. Communciation. Through an app, a programme and with a variety of devices. This debate will rumble on – the catch all term ‘coding’ has definitely ruffled a few feathers – from a secondary (and therefore arguably more specialised) computer science perspective as well as those who work in the industry. However in it’s simplest form ‘coding’ lets you create a story using a language your device, programme and computer will understand. It’s about communicating ideas and manipulating language to create. 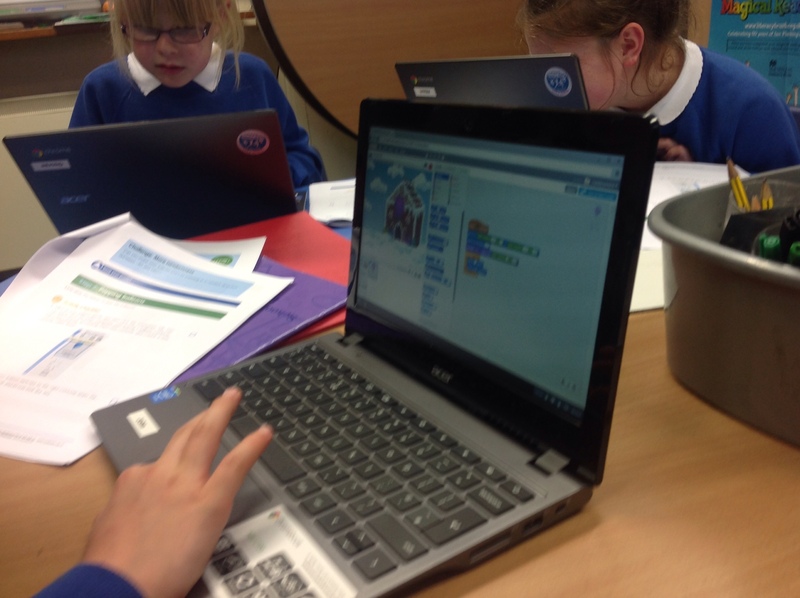 Why are we teaching our pupils to code? There is a recognition that children will need to understand more fully the digital devices that they are growing up with. They will need to recognise that it is not some sort of ‘magic’ but a programmable device that people manipulate to get what they want. However, when our pupils will leave school they will not be using the devices that we give them in primary school. The chances are they will never have to manipulate a dinosaur across a field using only directions, or come against a visual language such as Scratch – it is not about a specific language or a specific programme. It is about logic, about creativity and about problem solving. There is a place for some languages to be used so they can be recognised e.g. Java or Python, however the aim is for children to be resilient about searching for the answer and finding a way to manipulate the programme put in front of them. Computer Science or Digital Literacy? Digital literacy skills are still fundamental – these include the ability to find information; sift, sort and select what is useful; be safe online and to understand how the internet works. They also include using and manipulating digital technology to create and store information e.g. Presentations, spreadsheets and cloud computing. These skills would be more about the old ‘ICT’ curriculum and, barring the odd area such as online safety, will be done through other areas of the curriculum. The key here is choice – can pupils choose what programmes to use? Can they choose how best to find information? Are they making good choices when communicating online? Schools can do this because we can give our pupils a safe email address, we can give them cloud saving and give them responsibility over their work. We can show them how nothing is ever really deleted, so that silly comment you wrote from home can be shared with your teacher and parents. It’s probably the only chance they will get to make these mistakes and it be safe. confident children who understand logic and approach problem solving in a logical fashion. It must not be about specific devices, or specific programmes. Schools need to take lead and give pupils choice, independence and the chance to make mistakes with a safe digital environment. Posted by RS on October 27, 2014 in Digital Library, MAEducationTechnology, Teaching and Learning and tagged #edchat, classroom, code, digital literacy.